As Scott Morrison and Josh Frydenberg were banking the 22% plus surge in global iron ore prices so far this year in last night’s Federal budget, it seems the shortfall in exports will be much larger than thought last week because of the growing impact of Cyclone Veronica on the Pilbara at the end of March. World iron ore prices are poised to make a run back over $US90 a tonne after more doubt was cast on the level of Vale’s 2019 production while Rio Tinto has declared force majeure on some exports. Expect even more pressure on global iron ore supplies and prices after Vale was forced to shut two more iron ore mines in southern Brazil. 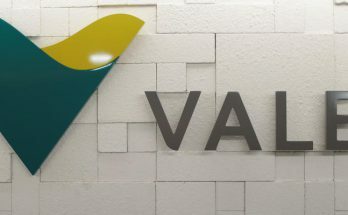 Vale management is in turmoil after the CEO of the world’s biggest iron ore miner stepped aside following pressure from Brazilian authorities over the Minas Gerais dam collapse. BHP will pay an unchanged interim dividend of 55 US cents a share after reporting an interim result hurt by problems at the WA iron ore mining operations, a nickel processing facility also in WA, and copper mines in South Australia and Chile. 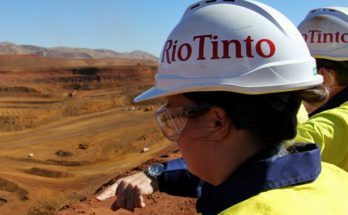 Shares in BHP, Rio Tinto, and Fortescue Metals group should continue running higher today with global iron ore prices hitting two-year highs in Asian trading yesterday after Chinese buyers returned to the market after last week’s holiday break. With stocks of iron ore at ports and mills low after the holidays, Chinese buyers will chase spot ore cargoes from today and could push the already high price of standard 62% ore past $US100 a tonne. Australia will be the beneficiary of the terrible mining dam disaster in Brazil which has killed more than 80 people with upwards of 300 missing. In fact, it would be true to say there is a silver lining for Australia in Brazil’s pain – a surge in iron ore prices that will, in turn, boost export receipts and government tax revenues. Global iron ore prices and the share prices of Australia’s biggest iron ore exporters will jump as Vale, the big Brazilian exporter takes 10 of its mines and their 40 million tonnes of ore offline while it replaces potentially dangerous tailings dams. Deutsche Bank lowers earnings forecast by -4.7% after the December quarter update. First-half outages have raised unit cost forecasts, while full-year guidance remains unchanged. 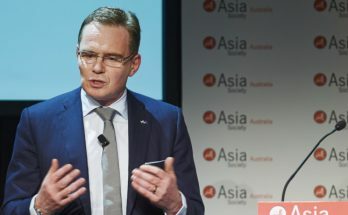 BHP has told investors it remains on track to meet its yearly production forecasts across all its major commodities despite the “negative impact” of a series of incidents. 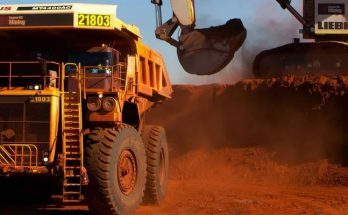 Macquarie analysts have scaled back total shipment projections for the final quarter of 2018, but the analysts also see how buoyant iron ore prices continue to drive positive earnings momentum for producers in Australia. A couple of years ago, Nickel West was on the for sale list at BHP. This week BHP’s Nickel West division said ‘go’ to the first of a number of new mining developments in the northern Goldfields of WA after the State Government signed off on the Venus underground nickel mine near Leinster. 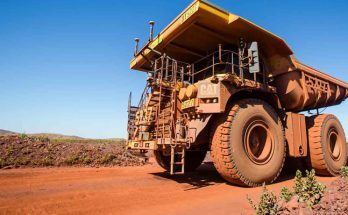 An announcement from BHP has confirmed that very quietly the next resources boom is taking shape, mostly in the states of WA and South Australia. 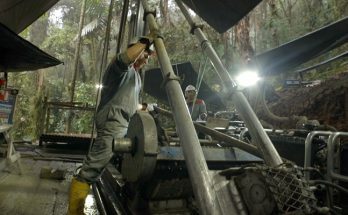 SolGold, the Australian originated, UK/Canadian listed small exploration group that now has BHP and Newcrest Mining as major shareholders, has produced another massive upgrade of its key copper/gold resource in Ecuador. BHP could lose iron ore exports worth hundreds of millions dollars from this week’s rail derailment. BHP shares jumped more than 4% at one stage yesterday after it confirmed its long-awaited capital management program using the proceeds of its abortive US oil and gas campaign that cost it more than $US20 billion in impairments. BHP has confirmed that it plans a huge buyback and special dividend for shareholders from the sale of its underperforming US shale oil and gas assets. 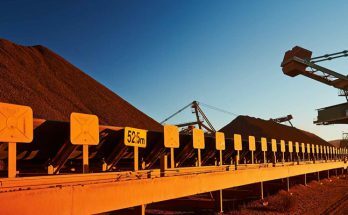 Except for copper, BHP has made a solid start to its 2018-19 financial year with first-quarter iron ore production (its most important commodity) rising 8% on strong Chinese demand for high-grade ore which has helped drive the price of ore over $US70 a tonne tor the first time in six months. UBS assesses that investors are mostly in favour of a buyback, and predominantly an off-market buyback of ASX listed shares as this can be accomplished quickly. BHP shares have hit a seven-year high after prosecutors in the Brazilian state of Minas Gerais state said they reached a final compensation deal regarding the fatal 2015 dam collapse. 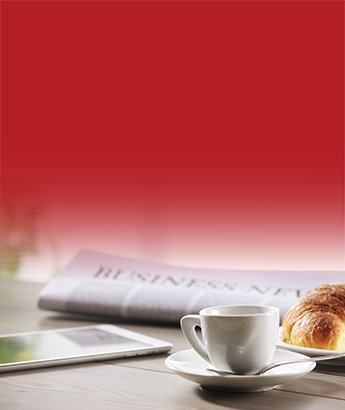 A glance through the latest expert views and predictions about commodities. Steel; mining & franking; diversified majors; thermal coal; and Nickel Mines. BHP Billiton has confirmed that it plans to ask shareholders at its UK and Australian annual meetings to remove the word “Billiton” from its name, around 17 years after taking over Billiton Plc and becoming the world’s biggest mining company. A glance through the latest expert views and predictions about commodities. Base metals; platinum; steel/iron ore; and major miners. Credit Suisse believes the company’s diverse asset portfolio provides a key advantage over its peers because of an extensive suite of high-returning internal growth options. 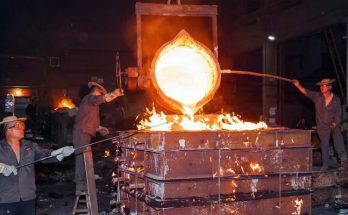 BHP has made another attempt to put its foot on one of the most prospective copper-gold deposits in the world unveiling a deal that will see it acquire a 6.1% stake in the SolGold project in Ecuador. Mixed reviews of BHP’s 2017-18 result. Net earnings were light on compared to forecasts, some provisions were higher, but the final dividend is a record 63 US cents a share. BHP shares traded at a four-year high on the last day of July, reaching a day’s high of $34.98 before closing at $34.86 – the highest the shares have been since August 2014, just as global oil prices were starting their big slide. BHP has confirmed that it has sold its troubled US onshore oil and gas interests for nearly $US11 billion (more than $A14 billion), ending a loss riddled few years of wasted capital. 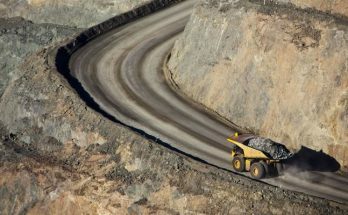 BHP saved the market from a weakish day after surprising with an upbeat set of numbers for its production and sales effort for the June quarter and 2017-18, and a forecast for more of the same in the coming year. Recent press reports have suggested BHP (ASX:BHP) has been offered over US$10 billion for its US Onshore Oil and Gas assets from BP. For those who have followed the US onshore journey, you will already know it has not been a pretty one for the Big Australian. According to weekend media reports BHP is on the verge of getting rid of its costly US shale gas and oil headache with global major, BP emerging as the front runner to buy the unwanted assets in one go. Brazil’s Vale and Anglo-Australian BHP Billiton, the owners of the Samarco iron ore mine in Brazil, say they have reached a framework agreement with Brazilian federal and state prosecutors to negotiate a settlement of a lawsuit worth billions over the disaster at the mine which resulted in the death of 19 people in 2015 and the polluting more than 400 miles of waterways. The board has formally approved the development of the US$3.4bn, 80mtpa South Flank project. Reserves and resources estimates for Western Australian iron ore have been upgraded. 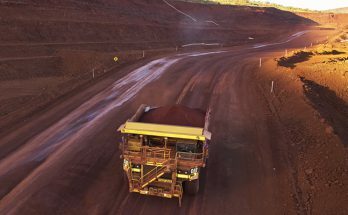 BHP has given the greenlight to the expansion of an existing iron ore mine in the Pilbara – the second project from a big miner in the region in the past month or so.